Are you in search of business theme that attracts your visitors? 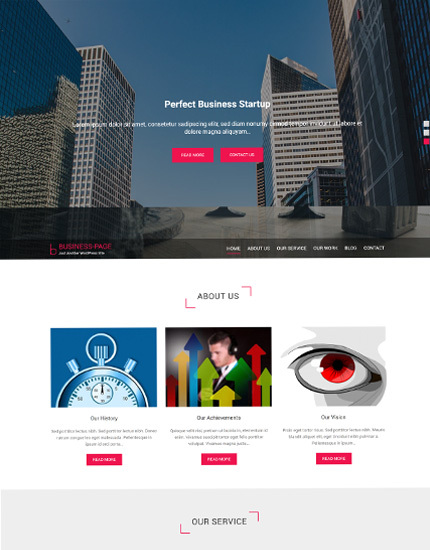 Then Business Theme by Aarambha is an excellent choice for you. 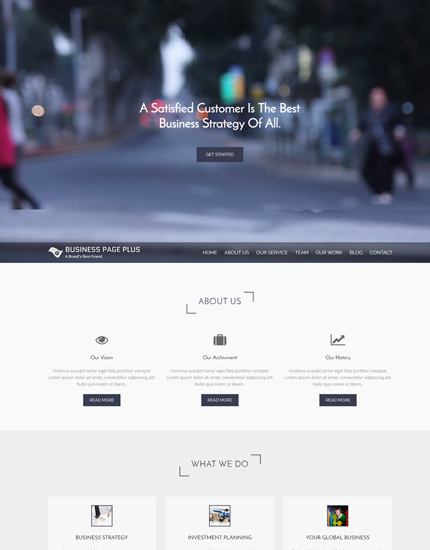 Business Theme is fully responsive and it offers an abundance of features. The friendly design creates new opportunities for connecting with many new people from all around the world, and a responsive layout makes sure that all your content looks wonderful on all devices, whether they are on desktop, smartphones or tablet. The full screen slider has overlaying text and buttons, which helps visitors to know what your companies do, or to explain a new product. Furthermore, it also supports high resolution images, so feel free to upload any high resolutions pictures of your product to boost your business. To make your site even more eye-catching, you can customize the menu options and also enable or disable sidebar layout. The homepage consists of different modules which include service, work, testimonial, blog, and client and contact sections. In addition, you can also turn off any section you want in order to make it work properly. Finally, html5 and css3 is implemented for the clean, smoothest and most efficiently animated transitions in the theme. Oh, and it also includes Font Awesome and social icons too.